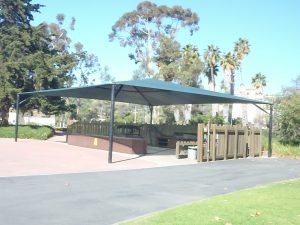 Area A has 30 picnic tables and three shade canopies. 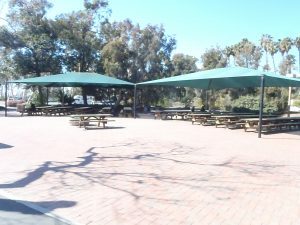 Area B has 20 picnic tables and two shade canopies. Each area has one large fire ring, one large BBQ grill, sink, counters, cold drink bin and electrical outlets (15 -20 amp). 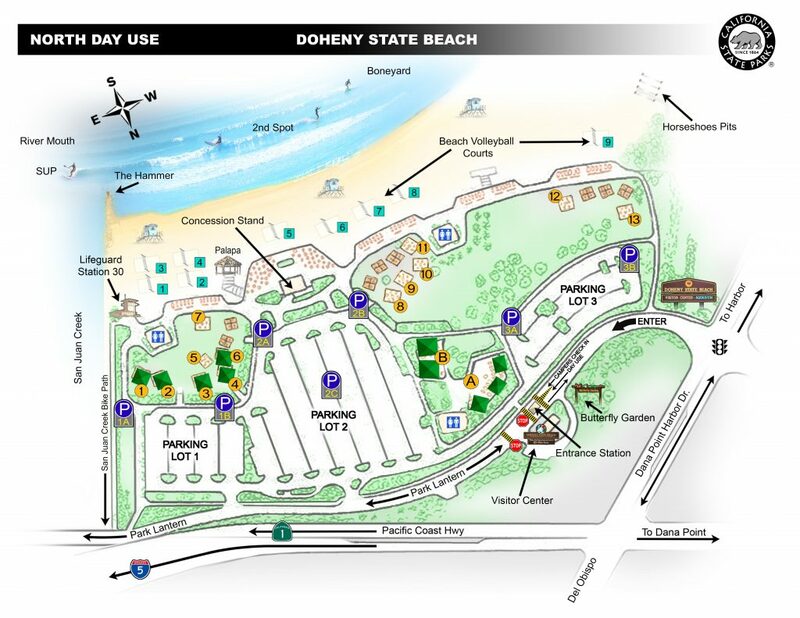 Alcohol may be consumed at sites A and B with the completion of an Alcohol Waiver Form that is available at Doheny State Beach or by clicking here Alcohol Waiver Form 19 The non-refundable alcohol waiver fees are $425.00 for site A and $325.00 for site B.